Scabies is a skin infection caused by a microscopic mite that burrows into the skin. This causes rashes and intense itching. Scabies also contributes to the development of bacterial skin infections. Scabies is one of the most common skin diseases worldwide. Rates of scabies infection are particularly high in some remote Australian communities. This contributes to other health problems. Research revealing the scabies mite’s genetic makeup aims to improve how scabies is treated. Our bioinformatics researchers are analysing the entire DNA sequence of the scabies mite, called its genome. Their aim is to use this to advance our understanding of scabies. This may reveal new ways to treat people infected with the scabies mite. We work closely with scabies researcher groups at the Menzies School of Health Research and QIMR Berghofer Medical Research Institute. Scabies is a skin infection caused by the microscopic scabies mite, Sarcoptes scabiei. Female mites burrow into the top layers of human skin to lay eggs. This causes irritation, a rash and intense itching, which is particularly bad at night. Scabies mites release proteins that suppress immune reactions in the skin. These can lead to bacterial skin infections and sores. Bacteria carried by scabies mites and excessive scratching in people with scabies may also contribute to skin infections. Often people with scabies also have trouble sleeping. This can make it hard for them to work, or to attend school. More than 130 million people worldwide are infected with scabies. It occurs in all communities. Scabies, and the complications of scabies infection, are especially prevalent in overcrowded and resource-poor communities in tropical areas. In Australia, some remote Aboriginal communities have very high rates of scabies. Up to half of the children in some communities are infected. These scabies infections begin at a young age, on average, at two months. They may have lifelong recurrences. People with scabies in remote Aboriginal communities frequently have skin sores infected with group A streptococcus (‘group A strep’) and Staphylococcus aureus bacteria. These bacterial infections can lead to acute rheumatic heart disease and chronic kidney disease. These serious health burdens can potentially be reduced by preventing scabies infections in a community. Most people with scabies are infected with only five to 10 mites. People with a weakened immune system, including the elderly and those with conditions such as AIDS, can develop a disease called crusted scabies. In this severe form of infection, a person can carry millions of mites. People with crusted scabies can be debilitated and disfigured. They may be socially isolated and avoid medical attention. People with crusted scabies often act as a ‘reservoir’ for scabies infection in their community. They can re-infect those around them who may have previously been treated and cured of their infection. Scabies can be cured by treating the infected person with a cream or lotion containing a pesticide. It is easy for scabies mites to re-infect someone who was previously cured of scabies. For this reason, it is important that all people who are close contacts of someone with scabies are treated at the same time. Clothes and bedding should also be thoroughly washed at the same time to kill any mites within them. In communities with high rates of scabies it is important that everyone infected with the mite is treated at the same time. This ensures people are not re-infected. It is also important that everyone receiving treatment undergoes the full course of treatment. Scabies mites that are resistant to certain pesticides have been reported. This limits the options for treating people with scabies. Pesticide resistance is most likely to develop when infected people do not complete the full treatment course. The scabies mite is poorly understood compared to many other parasites. Our researchers are determining the sequence of the scabies mite genome, which contains the genes that control how the scabies mite functions. The goal is to use this information to advance our understanding of scabies mite biology. It is hoped that deciphering the scabies mite genome will accelerate research into scabies. This has occurred in the aftermath of genome projects for other infectious agents, including for the malaria parasite, Plasmodium. Analysing the scabies mite genome may reveal better strategies to treat scabies. In particular, it may help accelerate the development of vaccines. Genome sequencing may also explain how scabies mites become resistant to pesticides. This may lead to new ways to overcome resistance. 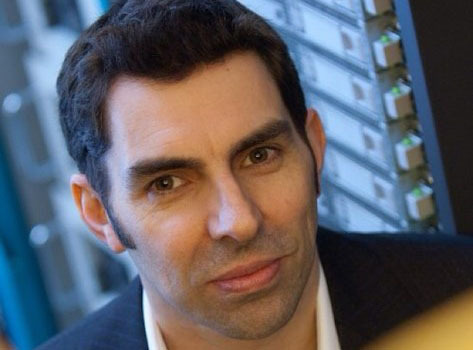 Associate Professor Tony Papenfuss speaks to Australian Life Scientist.